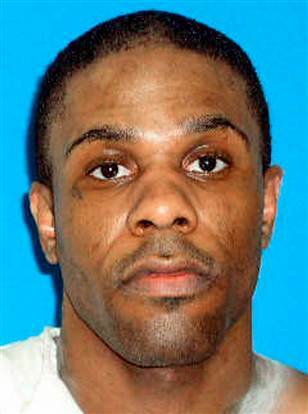 On this date in 2008, Leon David Dorsey IV died by lethal injection in Texas. No, not Netflix. Just a small-time hood who robbed a Dallas Blockbuster (back when there was such a thing) of $392, and in the process wasted the two employees minding the till. * Something about it — the familiar ubiquity of video rental joints in the 1990s, maybe — really resonated. The Blockbuster murders were immediately notorious. Though Dorsey was a suspect in this crime — because he told his girlfriend, and she ratted him out — police concluded that the man in the surveillance tapes was too tall. He wasn’t charged. Dorsey actually got convicted (non-capitally) of a different murder and the Blockbuster homicides went unsolved — until a cold cases unit dug into the surveillance tapes, decided the telemetry fit Dorsey after all, and went knocking on his cell door. The guy was still foolishly willing to gab about it. One doesn’t doubt that sentiment is shared by many malefactors great and small, but blithe narcissism is not quite the pose calculated to win a lot of sympathy from a jury when you’re on trial for your life. And two years after the Blockbuster killer got his … so did Blockbuster. * The Blockbuster Corporation’s outreach to the families of its slain employees was considered a model stroke of public relations (Dallas Morning News, Nov. 2, 1994). Part of the Themed Set: Branded.